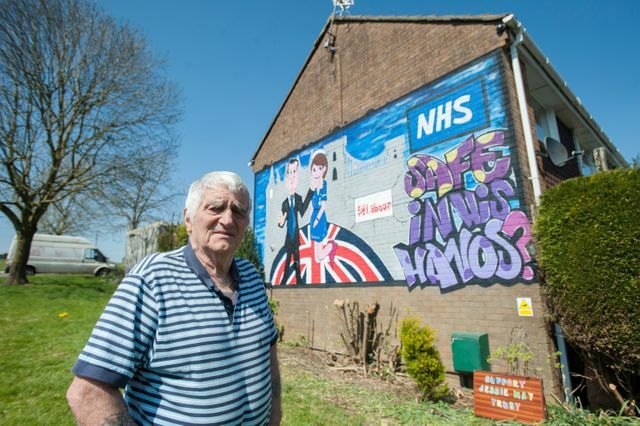 Murals painted on a residential property can add value - think Banksy - or can lead to a fine from the Local Authority. Generally an advert will not be allowed under the Town and Country Planning (Control of Advertisements)(England) Regulations 2007 and you also need to be aware of the extra regulations if the property is in a Conservation Area as the Local Authority can use it's powers under the Town and Country Planning Act 1990 to issue a notice requiring a property to be cleaned up when it's condition "adversely affects the amenity" of the area. And of course the neighbours may not be happy !!! The Bristol resident and lifelong Labour voter has been told by the local council it must be removed as it breaks advertising guidelines. If he refuses to remove it, Mr Davis could be fined up to £20,000 under the Town and Country Planning Act.